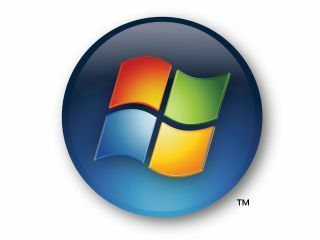 Microsoft has posted the first complete download of Windows Vista Service Pack 1. It's available to download here. The update is intended for network admins and others who need to deploy the update in a single swoop - Microsoft wants individual users to use Windows Update to get hold of SP1, which it has previously said will only drip down if the conditions are right for it. "For those of you happy to wait - sit tight because SP1 will start downloading to PCs automatically beginning in mid-April," says Microsoft blogger Nick White, writing on the Windows Vista Experience Blog. Microsoft encountered some driver issues which it is still fighting to sort out, so if you have one of the few problem drivers installed, you won't get the update yet, though you can force it via the download link. There are seven other reasons why you might not get the update, which White has listed in this post. "We're working with the providers of the remaining devices to get updated versions of the drivers to our customers as well," says White. "In the meantime, Windows Update will recognize PCs with drivers that may be problematic and postpone offering SP1 to those PCs until it has installed corrected drivers or other applicable updates. "Either way, Windows Update works to detect whether or not your system is ready for SP1 and will not offer it to you until the time is right." According to Microsoft, "in addition to previously released updates, SP1 will contain changes focused on addressing specific reliability, performance, and compatibility issues; supporting new types of hardware; and adding support for several emerging standards".